SirajPower, the UAE’s leading provider of solar roof plants offering both construction and financing solutions under one umbrella, today announced the expansion of its operations in Abu Dhabi following the signature of the very first commercial lease in Abu Dhabi, with Hepworth, the Middle East premier manufacturer and supplier of plastic piping solutions. 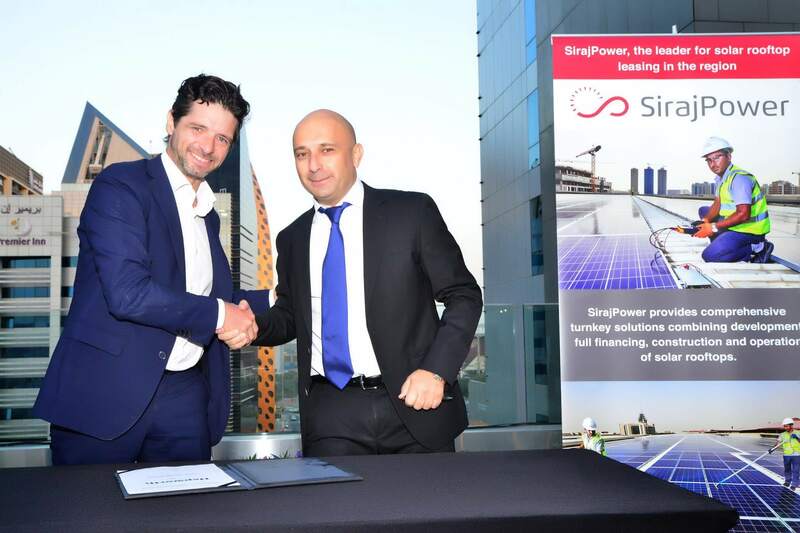 Under this new partnership, SirajPower will install, finance and operate 1.16 MWp PV system on two Hepworth facilities in Abu Dhabi, under a 20-year leasing scheme. The plant will cover almost 25% of its electricity consumption, saving 1,100 tons of CO2 from the first year of operations. In 2018, SirajPower has established itself as the leader of distributed solar energy under the Dubai Shams initiative with the highest solar capacity directly installed, financed and operated. The company has strengthened its portfolio with a total capacity of over 50 MWp secured. It is now aiming to create the same momentum achieved in Dubai and encourage more businesses in Abu Dhabi to install solar rooftops to be at the forefront of the transition. SirajPower’s leadership team is constituted of experts with over two decades of experience in the renewable sector. For instance, Laurent Longuet played an instrumental role in the construction of Shams 1 in Abu Dhabi, nearly ten years ago. It was the first concentrated solar power plant in the region and the largest worldwide at the time of its commissioning.